There are some foods that people with Chronic Kidney Disease (CKD) can eat that actually brighten their smile. For individuals with CKD good dental health is not just for aesthetic purposes. Preventing cavities and keeping your gums healthy is important in order to avoid both tooth decay and gum disease which can lead to infections and cause problems for those with Kidney Disease. Also, oral hygiene is a major consideration among Kidney Transplant Surgeons, who will counsel their patients about maintaining oral health before and after transplantation. In fact before treating a prospective transplant recipient, Kidney Surgeons will obtain and review a CKD patient's medical and dental history and perform a non-invasive initial oral examination to inspect teeth health without probing. Kidney Transplant Surgery can be canceled if your dental health is below par because of concern over current or potential infection. Since presentation is everything try these foods as natural solutions to create and maintain a brilliantly beaming smile. Recommended Reading: High Blood Glucose Rots More Than CKD Patients' Teeth, It Could Rot Their Brains Too! Water: Always be sure to moderate it based upon your personal fluid restriction (if you have one), but water can keep your mouth hydrated and your smile bright. For best results it is recommended to sip and swish the liquid between eating dark pigmented foods to prevent staining. Note that sparkling water has a greater potential to erode enamel and harm your teeth. Baking Soda: Baking soda is a base like bleach and can scrub off plaque and surface stains if you brush with it after or instead of toothpaste. Onions: Notoriously bad-for-breath alliums could be beneficial to teeth and after eating onions you are much more inclined to brush your teeth, which offers an added benefit. Strawberries: They may be bright red, but malic acid, a chief component of this summery fruit, acts as a natural astringent to remove surface tooth discoloration. Strawberries taste great in salads, desserts and cereal. Apples: The crispiness of apples helps to strengthen your gums and their high water content increases saliva production, dispersing and neutralizing colonies of bacteria that can lead to bad breath and plaque. Pears: Eating a pear can neutralize pesky odor-causing and staining bacteria colonies on teeth. Increased saliva production brought on by this sweet, delicious fruit also washes away food debris, leaving teeth clean and sparkling. These foods were presented to assist oral health in the general population but KidneyBuzz.com hand tailored recommendations to the Kidney Community for those with CKD. Although, there are other suggestions such as walnuts and almonds, these best match the renal diet recommended for optimal health in people with CKD. 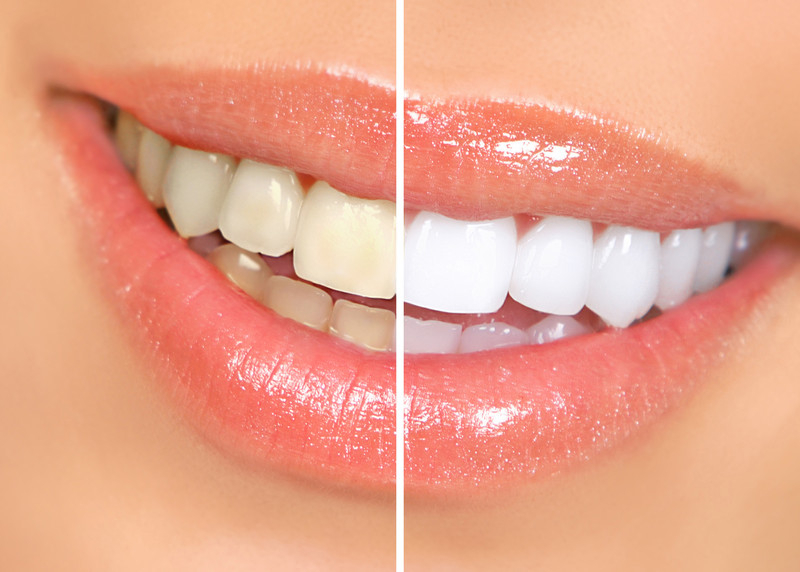 "12 Foods That Naturally Whiten Your Teeth." Yahoo! "Dental Management of the Organ Transplant Patient." National Institute of Craniofacial Research.